Nursing homes have increasingly been tucking arbitration clauses into the volumes of documents you sign when you seek admission to a nursing home. Sometimes, this allows a nursing home the ability to avoid our civil courts and judgment by a jury. If you are forced into arbitration, you still have a viable claim. But you can drive a truck through the difference in outcomes in arbitration and our civil courts. To put it in context, only 19% of negligence claims that did not have a binding arbitration agreement ended with no recovery for the plaintiff. This is no surprise. The arbitration deck is stacked. There are usually clauses on the selection of the arbitrator that lean heavily towards the nursing homes. Discovery is more limited in arbitration so your ability to get the documents and other information you need to make your case is limited. In Maryland, suits to compel arbitration are viewed by our courts as "favored actions." This means they lean toward enforcement. Maryland courts are usually going to ask just one question in these cases: Is there an agreement to arbitrate the subject matter of this dispute? So the deck is particularly stacked against us. Still, people seeking admission to a nursing home are more vulnerable, and the Maryland Nursing Home Bill of Rights reflects this reality. In the real world, patients are voluntarily admitted in name only because they have no real choice. They often seek admission following a period of acute hospitalization or other traumatic event and have little real choice. Clearly, they are focused on the quality of the facility and the services available. But, often it is more basic than that: can this place stop my suffering? It is hard to put the burden on people at this moment of their lives to consider how to resolve possible future disputes. What does Maryland law come down on this? Maryland law is not fully formed. But there is a multitude of ways to get around these agreements and have your case heard by a jury. What is the value of a nursing home claim? The best way to get out an arbitration agreement is, of course, never to rush into it in the first place. Most nursing homes are not going to require you to sign the document to get admission to the nursing home. But when you are filling out the admission paperwork, people are often uncomfortable questioning the probably very nice nursing home representative about it or telling them that you will not sign that document. But that moment of discomfort that will likely pass quickly can save a lot of heartaches later. Wrongful death plaintiffs are not bound by any agreement made by the now deceased resident because they did not contractually waive their rights. This argument should hold up in Maryland. The agreement was never signed. This is an easy one, of course, but you have to get the original agreement. The nursing home has the burden of proof. The resident lacked the capacity to make the agreement because of physical or mental incapacity. The resident's representative who executed the agreement lacked the authority to bind the resident. There is a Maryland case on this point. Enforce the agreement would be unconscionable. This doctrine can be procedural or substantive. The cleanest argument is that these are form contracts that are shoved in the resident's face. There is rarely counsel involved in the drafting, review, and execution of an arbitration agreement. Another avenue is the one-sided nature of these claims. Often, the nursing home can still sue the resident for payment in civil court. One-sided or "non-mutual" arbitration agreements have been found by some courts to be so unfair that they are substantively unconscionable. This doctrine might also apply in Maryland if the agreement shortened the statute of limitations to bring a negligence claim. The nursing home waived its arbitration rights. The rule here being that you can't dip your foot in the pool without taking a swim. Maryland courts have not rejected nursing home arbitration agreements out of hand. But the exact circumstance in which they will limit claims remains unclear. There has not been a ton of case law flushing out where Maryland draws the line. Other states are split on nursing home arbitration agreements. Some have universally enforced these agreements. Others have flat out refused to enforce arbitration agreements in nursing home cases. Some have languished in the middle. Alabama (11th Circuit holding that under Alabama law nursing home arbitration agreements are enforceable where a valid arbitration agreement exists between the decedent and the nursing home). 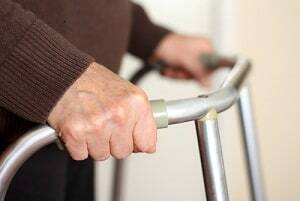 Our law firm handles serious injury and death nursing home negligence and abuse cases. Call us at 800-553-8082 or get an online consultation. There is no cost or obligation for either of us. Tell us about your case and we can find out together if we can help you.